Significant Chronological History - Album #1. ► (1958) - When the CAA was replaced by the FAA. ► (1958) - At the beginning of the Jet Age. ► - Using 'Shrimp Boats' on early radars. ► - Writing Flight Progress Strips, by hand (before computers). ► - When IBM computers entered the picture. ► - To experience several years of Hijackings. ► (1962) - When we moved from Midway to Indian Trail in Aurora. ► (1965) - When Positive Control Airspace was established above 24,000' & above 18,000' in 1967. ► (1968) -When PATCO was formed. ► (1970) - When the government obtained a temporary restraining order against a PATCO strike. ► (1970) - When Central Flow was established at FAA HQ in Washington, D.C.
► (1973) - When FAA recognized PATCO as the exclusive bargaining agent for controllers. 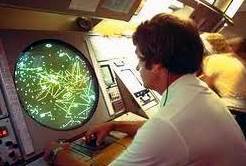 ► (1975) - When NAS En Route Stage A automated & computerized the En Route ATC System. ► (1976) - When a Conflict Alert System was implemented. ► (1978) - When PATCO paid a $100,000 fine for a slowdown because airlines refused international 'Fam' flights. ► (1980) - When PATCO issued a "strike plan" to its membership. ► (1981) - When the nationwide PATCO strike began and PATCO was decertified by the Federal Labor Relations. ► (1982) - When the FAA issued a request for proposals (RFP) to replace the IBM 9020s. ► (1983) - When the number of ARTCC's was increased to 23 and redesignated as Area Control Facilities. 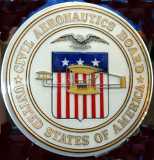 ► (1983) - For the 25th Anniversary of the Federal Aviation Act. 1935 - An Air Commerce conference, to "prevent traffic confusion which might result in collisions", recommended that a group of federal employees, called Flight Control Officers, be located along federal airways to direct and coordinate the progress of all flights to ensure their safe arrival at airports. 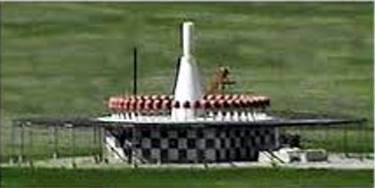 Initially, a consortium of airline companies organized and managed the first airway traffic control stations (now called En route Centers), at Newark, NJ in 1935, and Chicago, IL and Cleveland, OH in 1936. That same year The Bureau of Air Commerce took over operation of these 3 airway traffic control stations. 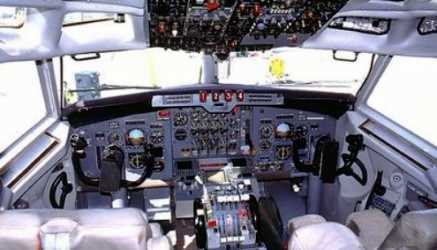 "Traffic control was needed as aircraft were flying in or above fog and clouds and navigated by instruments and radio. It was necessary that aircraft be kept adequately separated (either horizontally or vertically, or both) so there can be no possibility of a collision." Additional airway traffic control stations were established at Pittsburgh (1936); Los Angeles, Washington, DC, and Oakland (1937); Fort Worth, Salt Lake City, St. Louis and Atlanta (1939), and Seattle and Cincinnati (1941). The Lockheed Constellation "Connie" was a 4-engine propeller-driven airliner built by Lockheed between 1943 and 1958 in Burbank, CA. A total of 856 aircraft were produced in numerous models, all distinguished by a triple-tail design and dolphin-shaped fuselage. The Constellation was used as a civilian airliner and as a US Military Air Transport in the Berlin Airlift. It was also the presidential aircraft for President Dwight D. Eisenhower. The L-1049 Super Constellation was Lockheed's response to the successful Douglas DC-6 airliner, first flying in 1950. TWA's major stockholder, Howard Hughes, requested a 40-passenger transcontinental airliner with a 3,500 mile range which led to the development of the Lockheed L-049 Constellation. It had a cruise speed of 300 mph and a service ceiling of 24,000'. TWA began transatlantic air service on February 6, 1946 with a New York-Paris flight and Pan American World Airways opened the first ever regularly scheduled round-the-world service in 1947. This famous flight "Pan Am 1" operated until 1982. The Constellation was the first pressurized airliner offering affordable and comfortable air travel. The first production model of the L-1049 flew on July 14, 1951 and received certification in November. The Constellation entered scheduled service with Eastern Air Lines in December, 1951 between Miami and New York. The following year TWA began transatlantic service (50 crossings per week). In 1957 a TWA Constellation established a record for the longest-duration, non-stop inaugural passenger flight from London to San Francisco, staying aloft for 23 hours and 19 minutes (about 5,300 miles at 230 mph). The last scheduled passenger flight in the USA was made by TWA on My 11, 1967 from Philadelphia to Kansas City. Most Super Constellations were retired by their original operators when the Boeing B-707 and Douglas DC-8 jet airliners were introduced. The last commercial flight of the L-1049 Super Constellation was in 1993, when the FAA banned all airlines (for safety concerns) flying Constellations from the Dominican Republic to the USA. In 1940, President Franklin Roosevelt created the Civil Aeronautics Administration (CAA) and gave it the responsibility for Air Traffic Control, safety programs and airway development. Note: Donald Nyrop was the 2nd CAA Administrator. 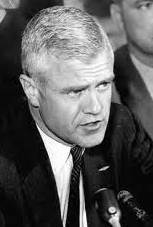 In 1951 he became chairman of the Civil Aeronautics Board, and in 1954 became president of Northwest Airlines. (He died at age 98 in 2010). 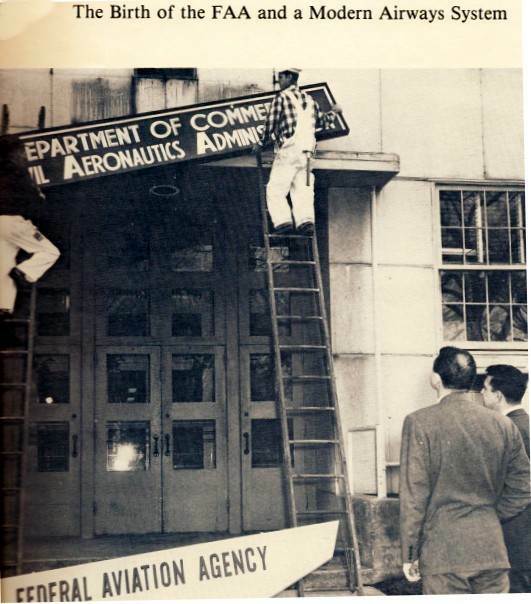 The Civil Aeronautics Administration (CAA), under the Department of Commerce, in 1955 , had its budget and staffing levels cut even though airline passenger traffic had doubled since 1949. Controllers manually separated planes at the same altitude by at least 10 minutes or 30 to 100 miles. 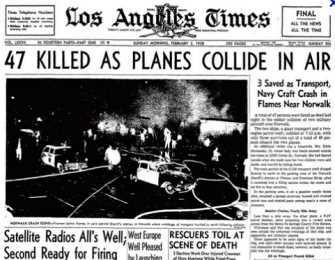 The morning of January 12, 1955 , a TWA Martin-202A collided with a Corporate DC-3 at the Greater Cincinnati Airport killing everyone on both planes. 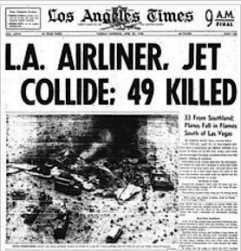 (15 Fatalities) There was no record of a flight plan for either aircraft. The right wing of the TWA Martin-202 struck the left wing of the DC-3 causing the right wing of the M-202 to separate and the DC-3 experienced fuselage, rudder and fin damage. TWA filed a $2 million damage suit against the Castleton Corporation of Kentucky. The probably cause was the DC-3 in a controlled zone with unknown traffic, no clearance and no communication with the tower. This collision was the first of many that brought about a public awareness that the government was not doing an effective job in air safety. It further pointed out that the civil-military system of air navigation and traffic control needed to keep up with the capabilities and needs of the aviation industry. The CAA tried to modernize the system but its budget controlled by the Department of Commerce was repeatedly cut, and staffing level was unchanged, even though airline passenger traffic had doubled. The Douglas DC-7 first flew on Dec. 20, 1955 and was certified the following year as a four-engine, propeller driven aircraft able to fly nonstop between the USA and many European cities and had a capacity of 99 passengers. Pan American World Airways was first with DC-7 scheduled airline service. The Douglas DC-7 was the fastest production commercial airline produced up to that time. 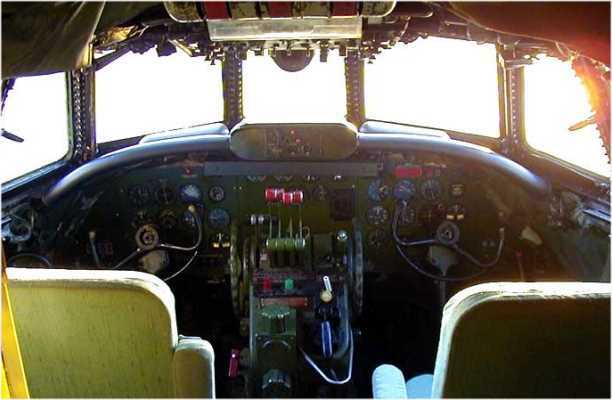 While speed and luxury were it's selling points, on the downside, the DC-7 had poor cockpit visibility. This was a contributing factor to several accidents including the Grand Canyon mid-air collision in 1956. Configured for up to 105 passengers with a maximum speed of 400 mph and a cruise speed of 355 mph, with a range of 4,600 miles and a service ceiling of 25,000', it was the last major piston engine powered transport made by Douglas Aircraft Company. American Airlines wanted an aircraft that could fly non-stop coast to coast in about eight hours, because the pilot union rules limited flying time to eight hours per day. Douglas finally agreed to build the aircraft when American Airlines placed a firm order for 25 planes at a price of $40 million. Douglas built a total of 338 DC-7s, the last one delivered in 1958. In 2010, only 17 DC-7s were still being flown, mainly for cargo and as air tankers. Due to its engine problems, the DC-7 has not had the same longevity as the DC-6, which is still being used by a number of commercial operators. March, 1956 - The Air Traffic Control Association (ATCA) was established as a nonprofit professional organization to promote the advancement of Air Traffic Control. 1956 - President Eisenhower appointed an Aviation Facilities Study Group which showed that the nation's airspace was dangerously overcrowded, with faster planes, congested airways, crowded frequencies, inordinate delays, and a serious threat of midair collisions. The ATC system lagged dangerously behind aeronautical development as near misses sometimes ran as many as a half dozen a day. The lower surface of the DC-7 left wing struck the upper aft fuselage of the TWA flight with disintegrating force. The collision ripped open the fuselage of the Constellation from just forward of its tail to near the main cabin door.  The empennage of the Constellation separated almost immediately. The plane pitched down and fell to the ground. most of the left outer wing of the DC-7 had separated and aileron control was restricted, causing the plane to fall to the ground out of control. PROBABLE CAUSE: The pilots did not see each other in time to avoid the collision resulting from any one or a combination of the following factors: Intervening clouds reducing time for visual separation; Visual limitations due to cockpit visibility; Preoccupations with normal cockpit duties; Preoccupations with matters unrelated to cockpit duties such as attempting to provide the passengers with a more scenic view of the Grand Canyon area; Physiological limits to human vision reducing the time opportunity to see and avoid the other aircraft; Insufficiency of en-route air traffic advisory information due to inadequacy of facilities and lack of personnel in air traffic control. Due to the substantial loss of life and the chain of events that led to it, the general public learned just how primitive ATC was and how little was being done to modernize it. Demands were made that politicians do something more than talk about the problem of near-misses and mid-air collisions. After contentious Congressional hearings, increased funding was finally allocated to modernize ATC, hire and train more air traffic controllers, and procure much-needed radars. 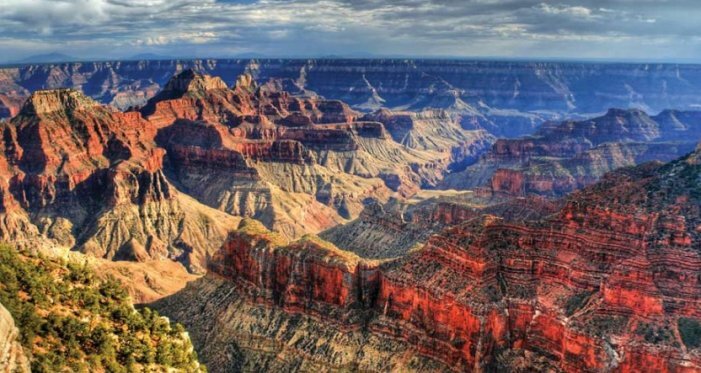 This Grand Canyon midair collision finally made it clear to the White House, the press, and Congress and the Aviation Industry that there was a major crisis of the nation's overcrowded airspace. As faster planes entered the system, increased delays, terminal congestion and a greater loss of life with larger planes, President Eisenhower appointed an Aviation Facilities Study Group to develop a master plan to fix these problems. Less than a week after the last body had been recovered, CAA secured from the Senate Appropriations Committee enough money to boost the number of VORs to well over 900 and to purchase 82 advanced long-range surveillance radars. 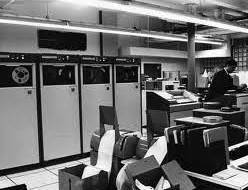 The CAA identified the value of using computers to speed the preparation of Flight Progress Strips in the En Route Centers, and in October 1956, a leased IBM 650 digital computer was installed at Indianapolis Center. 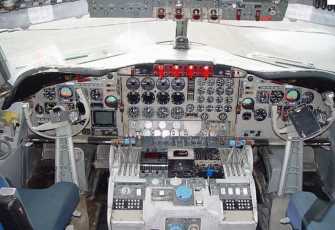 Computerized flight data processing reduced substantially the controller's paperwork responsibilities, as well as the development of improved pilot-controller communications channels and all-weather landing systems. 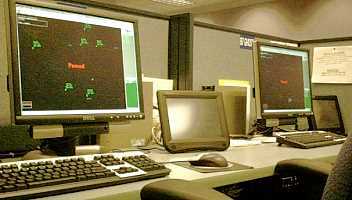 Research and Development was now focused on the automation of Air Traffic Control at its 20 En route Centers (NAS En Route Stage A). This automation of the en route portion of all flights helped establish positive control throughout airspace now used by the fast new jets. AIRWAY FACILITIES (AF) - (now called Airway Transportation Systems Specialists ATSS) - This group of important Technicians and System Specialists provide the absolute best back-up systems for air traffic controllers and pilots and play a vital role in keeping the USA airspace the safest in the world. AF insures that all systems are working properly, troubleshooting, repairing and certifying radars, communications equipment, navigational aids, electronic equipment, airport lighting, backup power (with huge diesel-engine generators), and are the most conscientious, dedicated people you will ever meet. One key component of American aviation progress has always been the FAA's Flight Inspection Service, which tests and rechecks the airway and navigation system that makes all-weather transcontinental flights unremarkable and routine. The FAA provides for the management and maintenance of the USA Airway System, by using aircraft, such as the DC-3 above, to evaluate radio transmitters, Instrument Landing Systems (ILS), and Very High Frequency Omni-directional Range (VOR). To ensure aviation safety, the importance of flight inspections required extensive commissioning checks and mandated regular rechecks of radio transmitters, ILS, and VOR instrument approaches. Initially the CAA obtained nearly 30 war surplus Douglas C-47s (military designation of the DC-3), and 75 Twin Beech C-45s. (At one time the CAA operated nearly sixty DC-3s). 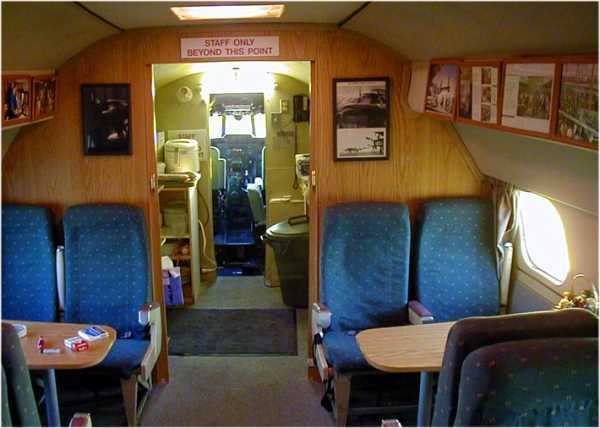 The prime mission of the DC-3 fleet, with 2 pilots and one airborne electronics technician, was the ILS and terminal approach inspections, plus detailed commissioning inspections of all new facilities. The FAA obtained 5 USAF Convair C-131s, with modified DME positioning sensors and computerized recorders to perform long-range airway-type inspections. These planes were replaced in most of the field offices by Saberliners and in the Atlantic City FIFO by Jet Commanders in the mid 1970s. 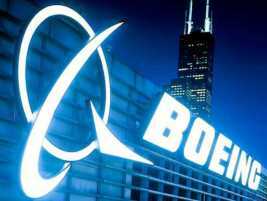 1956 was a milestone year as Boeing took advance orders for the new B-707 and Douglas for the DC-8. 1957 - CAA Administrator, James T. Pyle flew a prototype B-707. Administrator Pyle ordered 23 en route radars (with a 200-mile range) from Raytheon.. 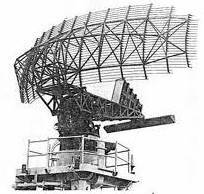 In February 1957, the CAA began installation of the first 'narrow band' radio receivers which doubled the number of civil communications channels available for air traffic controllers. April, 1957 - The Spokane Air Route Traffic Control Center was commissioned. 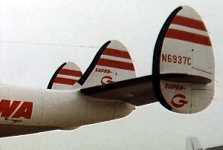 December 6, 1957 -The Lockheed -188A Electra, four-engine turboprop airliner, (99 passengers), first flew. A total of 170 Electras were built. American Airlines was Lockheed's first customer for the Electra, with orders for 35 aircraft, followed by Eastern Airline's order for 40 and Braniff Airways. The Electra was powered by four wing-mounted Allison 501-D13 turboprops. The Electra suffered a troubled start in service. the first aircraft took 26 months to complete. Passengers complained of high noise levels in the cabin forward of the wings, caused by propeller resonance, so Lockheed redesigned the engine nacelles to tilt the engines upwards by 3 degrees, which resulted in much-improved performance as well as increased passenger comfort. The public lost confidence in the L-188 after three aircraft were lost in fatal accidents in 15 months. A third crash brought about an FAA restriction of the maximum speed at which Electras could be flown. Two of the crashes were found to be caused by an engine mount problem. As smaller jets were being introduced the Electras were gradually replaced, but were still being flown well into the late 70s by major carriers such as Eastern Airlines. Production ended in 1961 after only 170 had been built. Also in December 1957 the first U.S. made turbojet airliner, the Boeing-707 (189 passengers) first flew, and entered scheduled airline service in 1958 with Pan American World Airways. 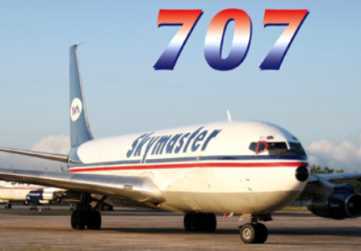 (857 of the B-707s were built, the last one in 1991). In December 1957, all the airspace in the continental United States above 24,000' was designated 'Continental Control Area' and twelve planned 'superskyways' to provide direct, controlled high-altitude routes for transcontinental commercial flights. 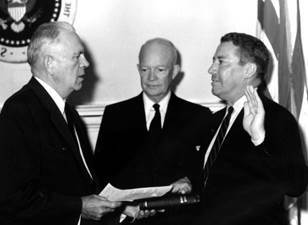 1958 - President Eisenhower appointed retired Air Force General, Elwood R. Quesada chairman of the Airways Modernization Board and first FAA Administrator. Fairness toward aviation users in consideration of public safety requirements. FAA Administrator Quesada quickly began the development of the air traffic control technology needed by commercial jet air travel by increasing the size of FAA's engineering staff. In July 1, 1958, the National Aviation Facilities Experimental Center (NAFEC), the FAA's research and development center was relocated from Indianapolis, IN to Atlantic City, NJ. On May 29, 1980 the FAA changed the name of the center from NAFEC to the FAA Technical Center, and in 1996 it was renamed, in honor of Ambassador William J. Hughes, a former member of Congress and long-time supporter of the Technical Center. The Tech Center is one of the nation's premier aviation research, development, test and evaluation facilities. Its world-class laboratories and top-notch engineering place the Tech Center at the forefront of the FAA's challenge to continually modernize the U.S. air transportation system. It is the core facility for advancing programs to enhance aviation safety, including the Next Generation Air Transportation System (NextGen). FAA's Mission is to promote the safe and efficient use of the nation's airspace. The Grand Canyon midair collision taught the Congress and the public just how primitive the existing ATC system really was and why it needed modern equipment, more personnel and adequate funding. The civil-military system added the VORTAC, both VHF and UHF (for directional use), and the TACAN, (for military UHF only equipped aircraft) and was getting ready for the upcoming Jet Age demands. The Douglas DC-8 (189 passengers) first flew, and entered scheduled airline service in 1958 with Delta Airlines in 1959. 1958 - marked the first hijacking of a plane from Cuba to another destination in an attempt by pro-Castro militants trying to support Raul Castro. The 2nd hijacking in 1959 was a flight from the Castro government. The U.S. government either openly or tacitly welcomed these hijackings and it's clear in hindsight that the United States official reaction to hijackings from Cuba to the United States was imprudent. These initial hijackings from Cuba were followed, starting in 1961 by hijackings from the United States to Cuba. From 1958 to 1972 more than 40 aircraft hijackings took place worldwide, many between the United States and Havana, Cuba. The United DC-7 departed LAX on a transcontinental flight to NYC. The US Air Force North American F-100 Super Sabre fighter left Nellis AFB on an instrument training flight and was executing a simulated jet penetration in the area of Las Vegas and descending from 28,000 feet at the same time the DC-7 was approaching the Las Vegas VOR. 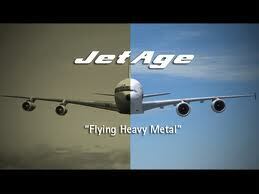 Both aircraft collided head-on at 21,000 feet. Initial contact occurred between the leading edge of the DC-7's starboard wing and the leading edge of the F-100's starboard wing.. (The closure speed was estimated to be 700 knots). 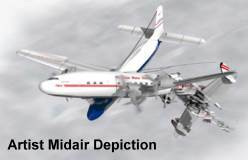 The DC-7 entered a steep spiral dive and three of the four radial engines separated prior to impact. The probable cause was the high rate of near head-on closure, and that at high altitude, there were human and cockpit limitations involved. Analysis of the approach angles concluded that a metal frame support on the F-100's canopy "interfered seriously" with detection of the DC-7, and a supporting pillar on the DC-7's windshield may have hindered sighting the fighter. The CAB also cited a failure of Nellis Air Force Base and the CAA to take measures to reduce a known collision exposure; training exercises were allowed to be conducted for more than a year prior to the collision within the confines of several airways, even after numerous near-misses with military jets had been reported by airline crews. The Viscount was descending to land at Baltimore, on an IFR flight plan, but in VFR conditions. The Air National Guard Lockheed T-33 took off from Martin Airport for a VFR proficiency flight. Just before the collision, the aircraft were observed flying parallel easterly courses, but the T-33 quickly overtook the Viscount and made a gentle right turn during which it struck the forward left side of the fuselage of the Viscount at 8,000 feet. Both aircraft crashed, but one of the T-33 crewmembers ejected safely. During the investigation it was learned that the T-33 pilot had been involved in two previous collisions and one major landing accident and the copilot of the Viscount had been involved in a collision and one other incident. The FAA, in a renewed effort to keep the skies safe, identified a serious need for more advanced and sensitive radar equipment to alleviate the limitations of radar traffic control. 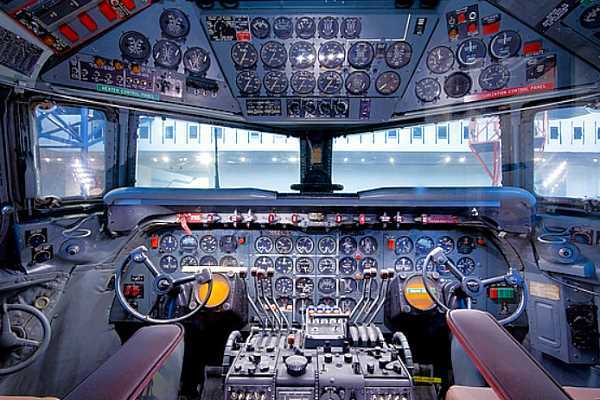 This was discovered when there was no return received by the radar controller from the T-33 in time for the controller to take action to alert the crew of the Viscount. 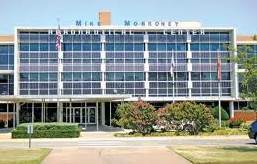 The day after the Brunswick collision, Senator A.S. (Mike) Monroney of Oklahoma introduced a bill to create and independent Federal Aviation Agency, and the Federal Aviation Act was signed into law on Aug. 23, 1958. The Oklahoma City FAA Aeronautical Center was later named after Senator Monroney. The Aeronautical Center, located at Will Rogers Airport, is one of the DOT's largest facilities outside the Washington DC area and has over 5,000 federal employees. The FAA Academy at the Aeronautical Center is where Air Traffic Controllers receive their initial training. Also located at the Center is the Civil Aerospace Medical Institute (CAMI) which is the medical certification, education, research, and occupational medicine wing of the Office of Aerospace Medicine (AAM). One of the responsibilities of the Medical Research Division is the investigation of the injury and death patterns in civilian flight accidents and analysis to determine cause and prevention strategies. The new Federal Aviation Act of 1958 empowered the FAA to oversee and regulate safety in the airline industry and the use of airspace over the United States by both military and civilian aircraft.